Received the usual monthly newsletter from the group and I'm not the person who will click on most newsletter and this one caught my attention from its header. HAHAHAA women are suckers for anything in pink I guess? Prollie not all, but most of us do. 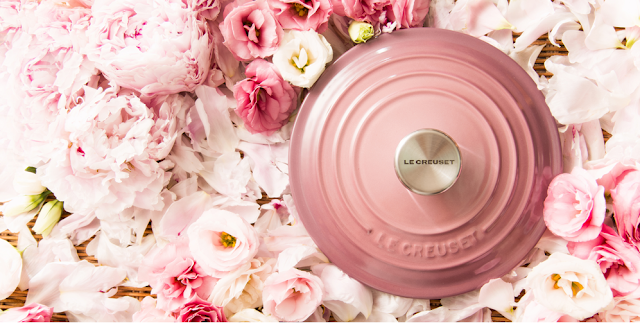 Especially when the cast iron lid was styled and shot among the beautiful blooms of peonies. Christmas is around the corner, so why not get something really nice from Le Creuset. It's available in multi colors to suit the lucky recipient and occasions. 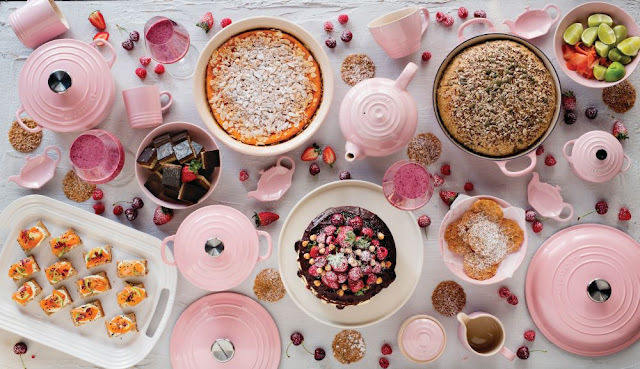 I know I would be happy to receive one or two even if it's the non-cast iron ware. So far at home, we've been collecting a multitude of colors including grey....yes grey...-_-" my dear Mr. JS only loves rustic colors.